There are a number of tools available to Philip Hammond to fix our broken economy, but Tory ideology blinds him to them. The country needs economic stimulus and an increase in the disposable income of ordinary people from the budget next month. But on both counts, the Chancellor is so constrained by ideology and existing policies that he will be unable to deliver. The economy is flagging, the growth rate is sluggish, productivity is low and the UK is not in a strong position to take advantage of advanced digital and new manufacturing technologies — the economy needs a stimulus. With Brexit uncertainties, many companies are withholding long-term investment and these uncertainties may not be resolved for years to come. This requires the state to invest not only in affordable housing, the NHS, infrastructure and new industries, but also to equip workers for the challenges ahead. The government could fund investment by issuing People’s Bonds, which could give savers a decent return and at the same time make a real difference to the economy. This could also help people to save for their pensions and also cool the stock market. The government admits that last year £34 billion of tax was not collected because of avoidance, evasion and other factors. A crackdown can raise large amounts. The government could borrow Labour’s idea of National Investment Bank and build an investment fund of £500 billion, but for ideological reasons that is unlikely to be on the table. Instead of taking advantage of the low cost of borrowing and investing, the Tories have been obsessed with reducing public debt and tax cuts for the rich and corporations. What might the public finances have been if the government had not given away vast amounts in tax cuts? The 2017 Conservative manifesto has now postponed elimination of the net borrowing to the middle of the next decade and this gives the Chancellor some room to manoeuvre. This is likely to result in some gestures — or, ‘giveaways’ — rather than wholesale policy changes. He may announce minor infrastructure projects and even permit councils to build affordable homes, but it won’t transform the economy. No economy can flourish unless ordinary people have good levels of disposable income. Here again, the Chancellor is handicapped by policy failures. The shrinkage of manufacturing, pay freezes, expansion of the shelf-stacking economy and systematic weakening of trade unions has reduced the employee share of the gross domestic product (GDP). The most recent Quarterly national accounts released by the Office for National Statistics shows that employee share of GDP is now 49.3% compared to 65.1% in 1976. For the last ten years, there has been no growth in wages. At the end of August 2017 the average pre-tax regular pay (excluding bonuses) for employees was £459 per week, compared to £473 per week in March 2008. The wage decline experienced by ordinary people is probably much greater as the above amounts include fat cat executives collecting 386 times more than a worker on the national living wage. In the face of a declining share of the economy, many people have relied on debt. UK household borrowing now stands at £1.554 trillion and is expected to rise to £2.3 trillion by 2020, and will probably provide the foundations for the next big financial crisis. A sustainable economy can’t be built by squeezing people’s ability to buy goods and services. The Chancellor needs to boost the purchasing power of ordinary people. This can be done by lifting the pay cap on public sector workers though that won’t make-up the lost ground. Before any Conservatives break out in a cold sweat, a reminder that as people earn and spend more, they will pay higher amounts in income tax and VAT. Therefore, the net cost to the public purse will be less than the headline amounts. The minimum wage should be raised. A rebuilding of the economy with strong technology and manufacturing sectors can raise wages, as will stronger trade unions. The middle classes can benefit from abolition of university and college fees and this can be funded by higher corporation tax rate. Despite the recession and a flat economy, corporate profitability has risen. Excluding the dwindling oil and gas production sector, UK companies have been making average profits of between 12.7% and 17.9%. By historical standards, these returns are excessive and should be shared with the people by introducing freezes on the price of gas, electricity, water and rents. Government can increase the rate of corporate tax and even levy windfall taxes and redistribute the proceeds through higher investment in the NHS, education and social infrastructure. 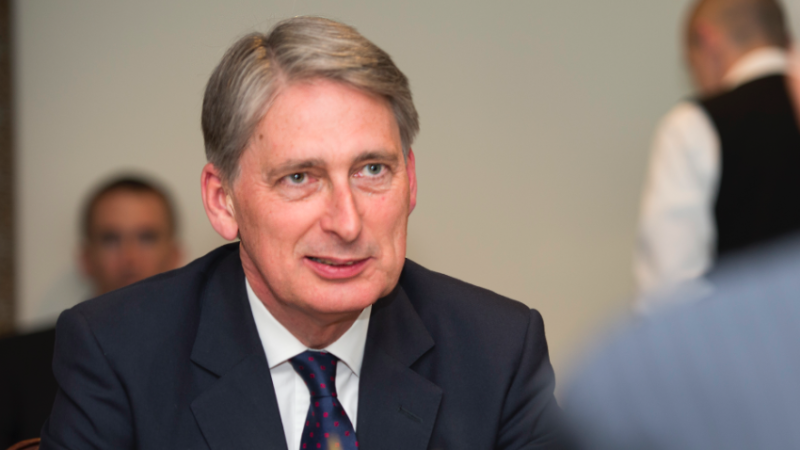 The Chancellor has a range of policy options, but under the weight of Conservative ideologies he is unlikely to be able to able to sufficiently reinvigorate the economy or boost the spending power of ordinary people. Prem Sikka is Emeritus Professor of Accounting at the University of Essex. He tweets here. The next budget will be the impossible budget. Hammond is faced with demands for more public spending from virtually every corner of the public sector including the ‘black hole’ he created by the NIC fiasco. Unless he raises taxes the situation calls for innovative presentation sometimes unkindly called smoke and mirrors – like removing the public sector pay cap but not allocating anymore budget. UC will be dealt with by dumping the under funding problem on councils. Similarly allowing councils to raise council tax above the rate of inflation but cutting what is left of revenue support. Changes to VED will attempt to conceal a de facto increase and so on. It wont work and the strong and stable decline of public services and the economy will continue. Alternatively he could phone in sick!